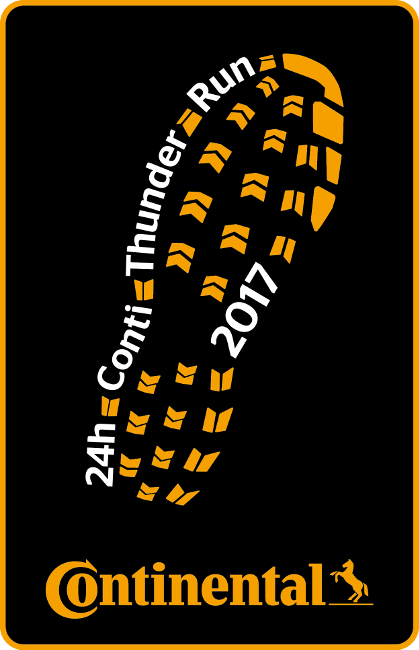 In our previous Conti Thunder Run related article, we shared a PDF document with you to provide some insight into preparing and fuelling yourselves for the event. This time, please take the time to watch this video – it lasts about 5 minutes and could be the most useful and educational 5 minutes you’ll spend in the run up to the event. The video explains why fuelling is so important during an event like this – the longer you’re exercising for, the more essential fuelling becomes – and how a constant supply of carbohydrate to your bloodstream will make a huge difference to your performance and comfort. You will notice that the examples used in this video assume someone is running at an intensity close to ‘Anaerobic Threshold’ which is VERY hard. You won’t be running this hard at Thunder Run and hence with good fuelling, you will last a lot longer than 3 hours! The more you moderate your pace, the longer you will last, but fuelling properly will always afford you a higher pace than you could otherwise achieve. You will also feel a whole lot more comfortable and less exhausted at the end. In a few days’ time, we will be publishing a 2-minute video outlining the TORQ Fuelling System and putting the final pieces of the ‘nutrition jigsaw’ in place, along with specific dietary advice, unique to the Thunder Run event itself.